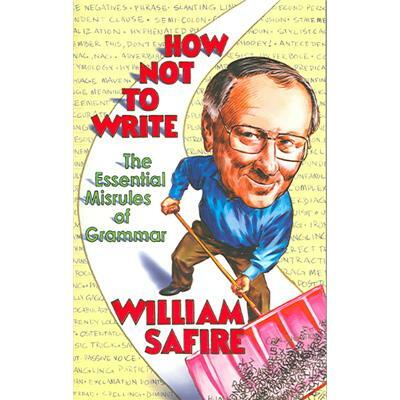 And if you seek more knowledge, grasshopper, try William Safire’s How Not to Write.
? Or did he just put two in without the joke so I start out the week with a brain itch? It’s Safire. I’d go with the Monday morning brain itch. Awww Dana you made me laugh out loud – he was always one of my favorite columnists. When I was learning how to speak English, I used to analyze his Sunday NYT column even before I tackled the funnies. And, the last word before the start of Chapter 24 can’t be right – it should be either “minutes” or “blocks”, not “months”! Thought you’d like to know when the reprint/paperbacks are done. Now I’m going to lay down my pen and lie down for awhile.